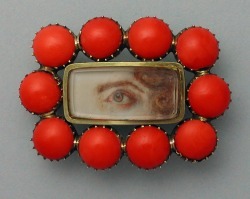 There was a time when lovers would have an eye painted and gift the painting to a lover. It was really popular around the late 1800's to the 1930's. Here are a few samples. Some of them are done in oil and some in gouache(opaque watercolor), many are set in lockets and rings and even a few strange items. This is a great article that I found. If anyone can tell me where it came from, please let me know. You can click on it for a bigger pic. I had to link to this site, Barbie eyes! 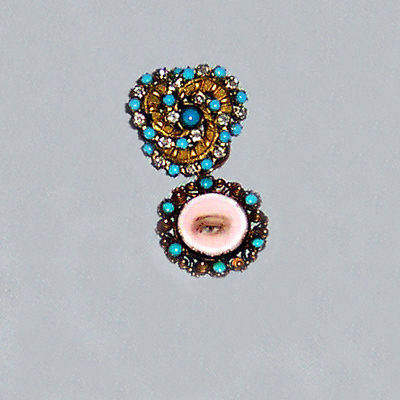 Click on the picture to take you to a modern, strange take on the traditional eye jewelry. 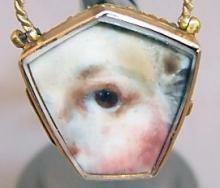 This person takes apart Barbie dolls and puts the pieces into wearable art. Hey! there is even a Barbie breast necklace. This is a toothpick case in ivory. 18th century. 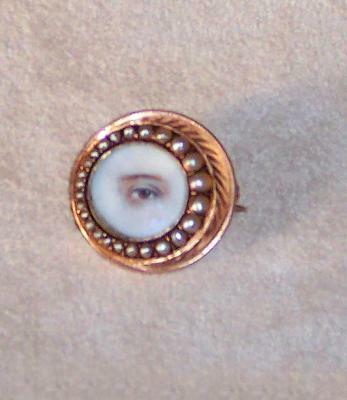 It has the eye of a lover peeking out with dark hair. not looking directly at the viewer. 19th century done on ivory. wish that it was in color, but I think that the surround is probably gold. this is one of the few that we know the artist. this looks like a gentleman's eye. I really like the rose gold setting. 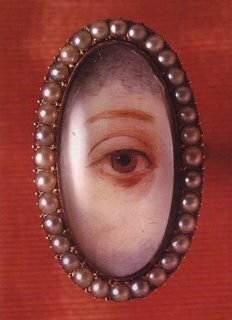 This looks like a mans eye to me. 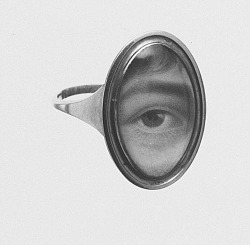 the eye is more simply painted, but it's a nice ring. 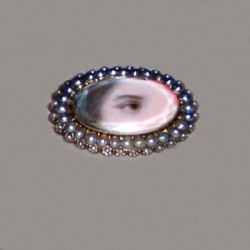 brooch with pearls and garnets. I don't know how small this is. I'm not sure of the size of this one either. notice the other eyebrow, but no eye. this looks very deco to me. 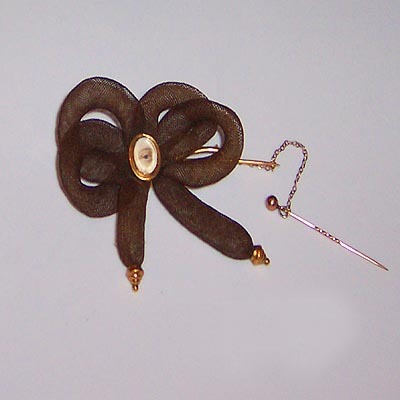 Bow made of hair with an eye in the middle. now this one is just creepy. too much white space around the eye for me. this looks like a large ring. too much white space where the nose would be, to me. 1869 Le Prince Louis d'Orleans. In case you read the article and wondered. Here is Sarah Goodridge. She was a miniaturist who painted her breasts for Daniel Webster. 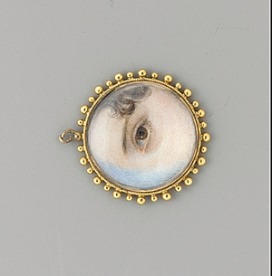 Here is the miniature of her breasts.